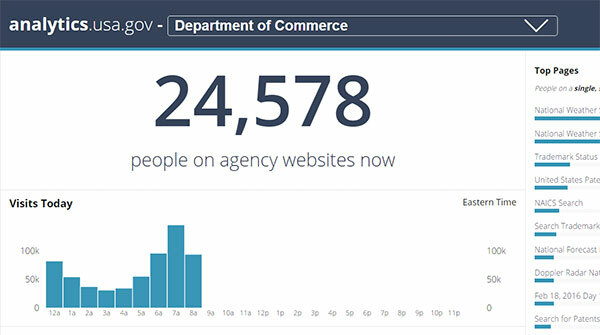 We’ve added agency-specific dashboards to analytics.usa.gov! What Do These Pages Show Me? These dashboard pages allow for greater insight into how the public interacts with specific agency websites as a complement to the aggregated view available at analytics.usa.gov. In many cases, the information we see as a government-wide percentage does not perfectly mirror an individual agency’s data. 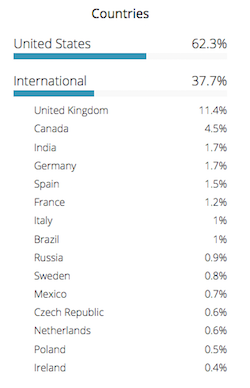 For example, at the time of writing this post, the domestic vs. foreign traffic on the whole of participating Digital Analytics Program (DAP) sites is about 90% to 10%, respectively. But the VA specifically has a 99% to 1% ratio, while NASA has a 62% to 38% domestic to foreign visits ratio. The pages also allow you to see things like the most popular downloads at an agency-level. During tax season, the IRS contributes the majority of downloads in the “Top Downloads” section on analytics.usa.gov, which is logical since it is tax season. With agency dashboards, you can observe downloads at the agency level. Why These Agencies? Are There More to Come? The agencies included in this initial “batch” of dashboards volunteered to be part of the first release. They are not representative of total participation in DAP, which is currently at 45 agencies. In the future, we hope to continue to expand the number of agency-specific pages. If you’d like to see a dashboard for your agency, contact us. Are the Dashboards Representative of All Agency Websites? In most cases, no. 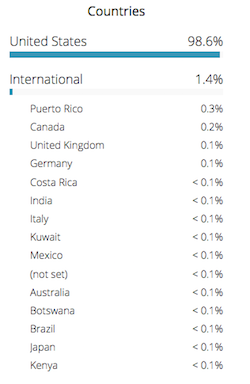 The dashboards reflect only websites that participate in the Digital Analytics Program. You can see which sites are included in the data set for each agency by downloading the “Visits to all Domains in the Last 30 Days” .csv file from the “Download the Data” section. You can also get an idea of the level of participation of an agency at pulse.cio.gov. If you work on a federal website that you’d like to have participate in DAP, email us. We think this level of data is valuable to gain a more clear understanding of the kinds of interaction the public has with the various different parts of the federal government, and what is important to them. We hope you feel the same!Tim Lowden leads the Digital Analytics Program (DAP), which powers analytics.usa.gov. Gabriel Ramirez, Gray Brooks, Eric Mill, Colin Craig, and Julia Winn are Innovation Specialists at 18F. The Digital Analytics Program currently tracks analytics data on more than 4,000 U.S. federal government websites across 45 agencies. To learn more or to find out how your agency/website can participate in the program, please email us. For more on 18F, visit 18f.gsa.gov. The work on analytics.usa.gov is all open-source, and can be found in our Github repo.